This content is provided by Ruben Van Arkel. Since January 2018, Ruben van Arkel has been heading the Employment law department of Pels Rijcken. Clients particularly turn to Ruben for advice when they are faced with questions surrounding unions and works councils during complex reorganizations, fraud and whistleblowers, pension law, issues regarding (remuneration of the) members of the board of directors and politically sensitive dismissal cases where involvement of the board of directors, senior management and/or political officials is necessary. Another part of Ruben’s practice concerns cases regarding the right to equal treatment. Ruben has been teaching courses on equal treatment as well. Furthermore, Ruben is a valued member of the Employment Law Association’s and the Equal Treatment Working Group. 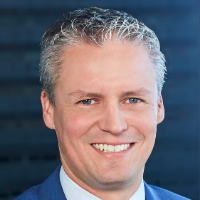 He is also member of the board of the Dutch Employment Lawyers Association (Vereniging Arbeidsrecht Advocaten Nederland) and chairman of the board of the The Hague Employment Lawyers Assocation. Ruben frequently publishes on this very topic in renowned journals. Clients highly appreciate his fast response time, accessibility, to the point and hands on advice, and his ability to provide advice that is not just legal but also strategic.